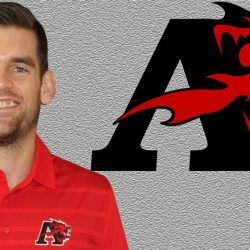 Albright head men’s basketball coach Rick Ferry announced on August 13 the hiring of Matt Chalupa as an assistant coach. Chalupa comes to Albright after spending the last two seasons as an assistant coach at Mount Saint Mary College. Last season at Mount Saint Mary, Chalupa helped the Knights to a 13-13 overall record and a 13-7 record in the Skyline Conference. The Knights also made their first appearance in the Skyline Conference Tournament since the 2013-14 season. In his two seasons with the Knights, Chalupa served as the recruiting coordinator for the team as well as the defensive coordinator. The Knights finished 1st and 4th in scoring defense for the Skyline Conference in his two years on the staff. Before coaching at Mount Saint Mary, Chalupa was an assistant coach for the Reno Bighorns, a NBA D-League team for the 2015-16 season. Chalupa put together a 15-3 scout record for the Bighorns and helped lead the team to a 33-17 record and the top seed in the Western Conference. He also evaluated and broke down day game film while in Reno and ran 18 player development sessions throughout the season. As a player in college, Chalupa was a four-year letter winner, four-time All-Academic selection, and served as team captain his senior year at Grinnell College in Iowa. He also began his collegiate coaching career at Grinnell as an assistant coach for the 2014-15 season where he coordinated recruiting as well. Albright is coming off a trip to the NCAA Tournament for the first time since the 2010 season and its second straight appearance in the MAC Commonwealth Tournament championship game.